It’s no secret that I love incorporating literacy opportunities in play. 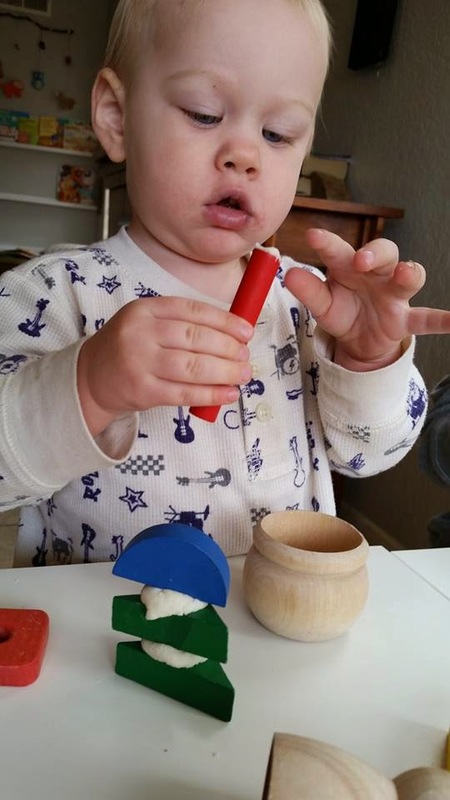 Actually, I’ll incorporate literacy in almost any activity, including eating! (see our Letterpress Toast) But I am admittedly less gifted in incorporating STEM activities into our daily repertoire (STEM activities include science, technology, engineering, and mathematics). 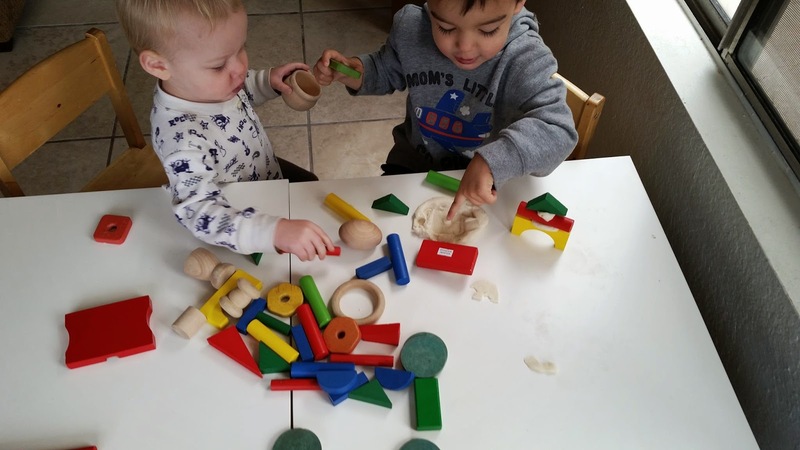 Incorporating STEM activities doesn’t mean that I have to have my preschooler/toddler working on math problems and studying classical architecture. Just the opposite, actually. 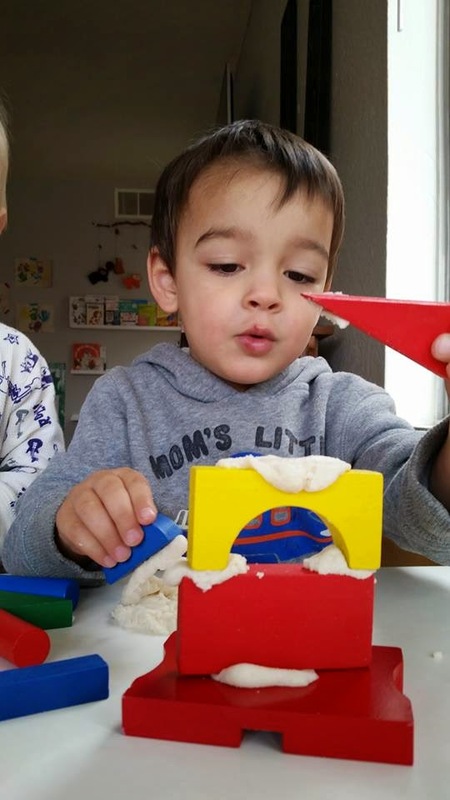 Through play, I can give my munchkins a foundation for developing an intuitive mathematical/engineering understanding to build on later in life. The set-up of this activity took so little time to prepare. 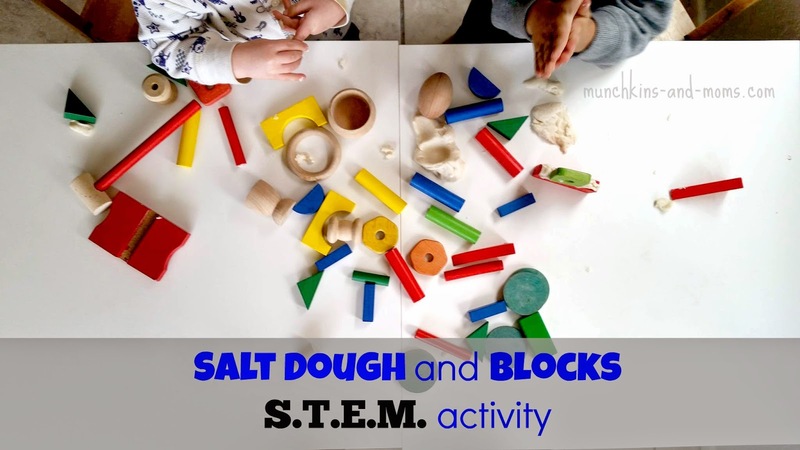 I already had salt dough made from an activity we’ll be doing later in the week, and the blocks were in my son’s room just waiting to be played with again 🙂 (Looking to add plain, wooden blocks to your play area? Take a look at these ones from Melissa and Doug). In a large bowl, combine salt and flour. Mix in water. Knead thoroughly and play. Salt dough isn’t my favorite homemade play dough (it tends to run on the sticky side), but it is so quick and easy to make that it’s a staple for several activities. I like that the salty texture and sticky handling make it the perfect “mortar” to hold our blocks together. I love that Hunter got to participate in this activity. And for once, he didn’t try to eat the dough! Success! Both boys quickly took to exploring the texture and stickiness of the dough. The boys spent a good 30 minutes building, tearing down, and creating with the materials. What did they learn from all of this? Nothing they can verbalize just yet. But the mere exposure and opportunity to work with these materials allowed them to experience principles of building that may be of use to us in the future. 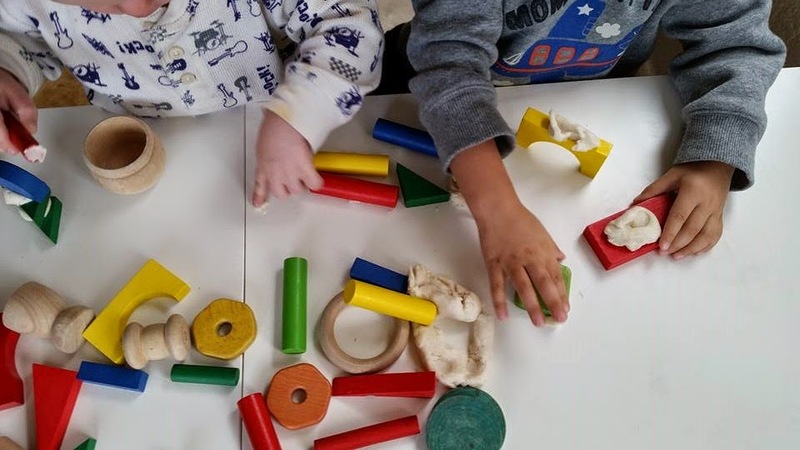 Through play, we are setting a foundation that we can build on as they grow. Are you following me on Pinterest? Come take a look at my board all about playing with blocks and be sure to pin a few that inspire you!